This Aug. 25, 2014, file photo shows a field of legal cannabis plants selected for their low content of THC near Meaux, France. A glut of legal marijuana has driven pot prices to rock-bottom levels in Oregon, and an increasing number of nervous growers are pivoting to another type of cannabis to make ends meet--hemp. Applications for state licenses to grow hemp -- marijuana's non-intoxicating cousin -- have increased more than twentyfold since 2015, and Oregon now ranks No. 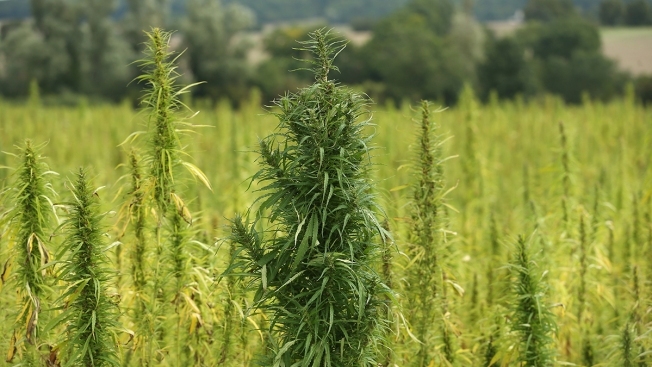 2 behind Colorado among the 19 states with active hemp cultivation. The rapidly evolving market comes amid skyrocketing demand for a hemp-derived extract called cannabidiol, or CBD, seen by many as a health aid. "Word on the street is everybody thinks hemp's the new gold rush," said Jerrad McCord, who grows marijuana in southern Oregon and just added 12 acres of hemp. "This is a business. You've got to adapt, and you've got to be a problem-solver." It's a problem few predicted when Oregon voters opened the door to legal marijuana four years ago. The state's climate is perfect for growing marijuana, and growers produced bumper crops. Under state law, none of it can leave Oregon. That, coupled with a decision to not cap the number of licenses for growers, has created a surplus. 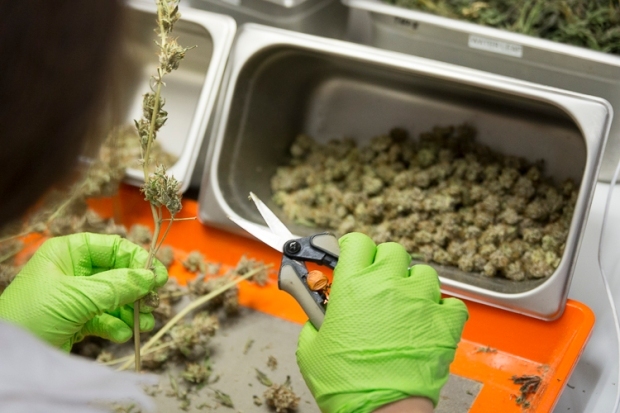 Oregon's inventory of marijuana is staggering for a state its size. There are nearly 1 million pounds of usable flower in the system, and an additional 350,000 pounds of marijuana extracts, edibles and tinctures. The Oregon Liquor Control Commission, which regulates the industry, says some of the inventory of flower goes into extracts, oils and tinctures -- which have increased in popularity -- but the agency can't say how much. A comprehensive market study is underway. "Now we're starting to look at drastic means, like destroying product. At some point, there's no more storage for it," said Trey Willison, who switched his operation from marijuana to hemp this season. "Whoever would have thought we'd get to the point of destroying pounds of marijuana?" That stark prospect is driving more of Oregon's marijuana entrepreneurs toward hemp, a crop that already has a foothold in states like Colorado and Kentucky and a lot of buzz in the cannabis industry. In Oregon, the number of hemp licenses increased from 12 in 2015 to 353 as of last week, and the state now ranks No. 2 nationally in licensed acreage. Largest Cannabis Cultivation Facility in North America? "There are a lot of growers who already have experience growing cannabis, and when you're growing for CBD, there are a lot of the same techniques that you use for growing marijuana," he said. "Oregon is definitely a hotbed of activity around this." Proponents say CBD offers a plethora of health benefits, from relieving pain to taming anxiety. Scientists caution, however, that there have been very few comprehensive clinical studies of how CBD affects humans -- mostly because the U.S. Drug Enforcement Administration still considers cannabidiol a Schedule 1 drug, and the government requires special dispensation to study it. 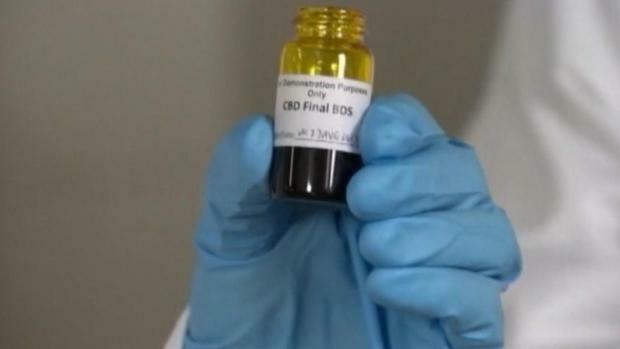 The Food and Drug Administration next month could approve the first drug derived from CBD. It's used to treat forms of epilepsy. Christina Sasser, co-founder of Vital Leaf, isn't waiting for government action to market CBD products in stores and online. She sells about 500 bottles of Oregon-sourced CBD oil a month and ships only to customers living in states with state-run hemp pilot programs, to better avoid the possibility that federal agents will go after her for selling something the U.S. government considers illicit. "Everybody in the CBD world has recognized the risks involved, and I would say the vast majority of us really believe in the power of the plant and are willing to operate in this, sort of, gray area," she said. Willison was selling marijuana clones to pot startups when he realized last spring he was selling way more clones than Oregon's market could support. The two-story building where he grew 200 pounds of weed a month sits nearly empty, and a greenhouse built to expand his pot business is packed with hemp plants instead. "The (marijuana) market is stuck within the borders of Oregon -- it's locked within the state," he said, as he took a break from collecting tiny grains of pollen from his plants. "But hemp is an international commodity now."